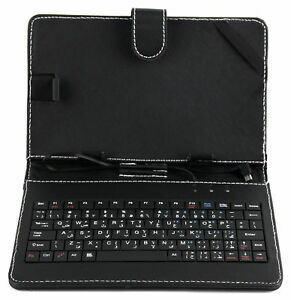 Motif Support Flip PU Cuir Housse étuis coques Pour Asus Zenpad 3S 10 Z500M 9.7"
General Info This 3rd Party seller account is run and managed by Duragadget Europe Ltd, whose address is: Duragadget Europe Limited C/O First Names Group, Third Floor, 37 Esplanade, St Helier, Jersey JE2 3QA Registration number 106205. (Please note that this is not a returns address - if you should so wish to return an item, please contact us through the eBay messaging service first.) By We/Us/Our is meant Duragadget Europe Limited. You/Your/Yours means any member of the public using this website, placing an order or transacting on this website. Making a contract with Duragadget Europe LTD When you place an order with us, you are making an offer to buy goods from Duragadget Europe Limited. We will send you an e-mail to confirm that we have received your order. Once we have checked the price and availability of the goods, we will email you again to confirm that we accept your order and that a contract has been made between us. We will not take payment until we have accepted your order in the manner explained below. Your contract for purchases is made through this web Site is with Duragadget Europe LTD and you undertake that any and all goods ordered by you are for your own private and domestic use only. You must be eighteen years old to use this site. If you are under eighteen, you may only use the site in conjunction with, and under the supervision of, a parent or guardian. If you do not qualify, please do not use the site. While we try and ensure that all prices on our items are accurate, errors may occur. If we discover an error in the price of goods you have ordered we will inform you as soon as possible and give you the option of reconfirming your order at the correct price or cancelling it. If we are unable to contact you we will treat the order as cancelled. If you cancel and you have already paid for the goods, you will receive a full refund. No contract for the sale of any product will subsist between you and Duragadget Europe LTD until Duragadget Europe LTD dispatches the product(s) ordered. We will confirm that the product(s) have been dispatched by a confirmation email. This confirmation e-mail amounts to an acceptance by Duragadget Europe LTD of your offer to buy goods from Duragadget Europe LTD (whether or not you receive that e-mail). You agree that e-mail can be used as a long-distance means of communication. This confirmatory e-mail will contain all relevant statutory information concerning your contract. The confirmatory e-mail will also contain a link to these terms and conditions, and may be amended in accordance with paragraph 59 below from time to time. You must check that the details on this confirmatory e-mail are correct as soon as possible and you should print out and keep a copy of it. If there are any changes to the details supplied by you it is your responsibility to inform Duragadget Europe LTD as soon as possible. Your right to cancel: You may cancel your order at any time prior to your order being processed by clicking on the cancel link next to the product ordered on your account page on the website. We can also accept cancellations by telephoning 0871 200 2137 during normal office hours (9:00am – 5:30pm GMT). Note that we dispatch items all items ordered before 12noon same day. You cannot cancel an order that has already been dispatched to you. You may also withdraw from the contract at any time after the product has been dispatched and you have received our email confirming your order but no later than 7 working days after the day after you receive the product by: Sending the notice of cancellation by email to info@duragadget.com ensuring that you quote your name, address and order reference number or Where you have already received the goods, please contact us before attempting to return your item in order for us to issue a returns number. Orders returned without a valid returns number will not be accepted. Once you have been given your return code, please return the goods to Duragadget Europe LTD, unopened, together with the original invoice. Duragadget Europe LTD will refund you the purchase price of the goods. Note we do not refund any shipping costs paid. Where appropriate Duragadget Europe LTD shall refund any additional customs duties borne by you on receipt of the relevant customs receipt. Once Duragadget Europe LTD receive notification from you that you wish to withdraw from the contract (in accordance with these terms), any sum debited to Duragadget Europe LTD from your credit card in relation to your order will be re-credited to that credit card account as soon as possible and in any event within 10 days of your order provided that the goods you wish to return are received by Duragadget Europe LTD in the condition that they were in when delivered to you. You will be liable for any charges incurred in returning the goods to Duragadget Europe LTD. Duragadget Europe LTD reserves the right to make a 15% restocking charge for any goods which are not returned in mint condition or to refuse to accept such goods, at its sole discretion. Duragadget Europe LTD also reserves the right to make a charge for collecting goods from your premises in circumstances where they are not defective but you have cancelled your order. Your statutory rights are not affected. Liability: This section applies only to the extent permitted by law. For the avoidance of doubt, Duragadget Europe LTD do not exclude or limit any liability for (a) personal injury (including sickness and death) where such injury results from Duragadget Europe LTD’s negligence or wilful default, or that of Duragadget Europe LTD's employees, agents or subcontractors or (b) fraudulent misrepresentation. Duragadget Europe LTD does not accept liability (except as set out below) for any errors and omissions and reserve the right to change information, prices, specifications and descriptions of listed goods, products and services. Duragadget Europe LTD does not accept any liability for any damage to your property as a result of use of a Duragadget product If an error is discovered in the price of the goods that you have ordered, we will inform you as soon as possible. We shall be under no obligation to fulfil an order for a product which was advertised at an incorrect price; if the item(s) has been charged and not dispatched we will cancel and refund your order. Duragadget Europe LTD will do its best to correct errors and omissions as quickly as practicable after being notified of them. TO THE FULLEST EXTENT PERMITTED BY LAW, DURAGADGET EUROPE LTD IS PROVIDING THIS SITE AND ITS CONTENTS ON AN “AS IS” BASIS AND MAKES NO (AND EXPRESSLY DISCLAIMS ALL) REPRESENTATIONS OR WARRANTIES OF ANY KIND, EXPRESS OR IMPLIED, WITH RESPECT TO THIS SITE OR THE INFORMATION, CONTENT, MATERIALS OR PRODUCTS INCLUDED IN THIS SITE INCLUDING, WITHOUT LIMITATION, WARRANTIES OF MERCHANTABILITY AND FITNESS FOR A PARTICULAR PURPOSE. IN ADDITION, DURAGADGET EUROPE LTD DOES NOT REPRESENT OR WARRANT THAT THE INFORMATION ACCESSIBLE VIA THIS SITE IS ACCURATE, COMPLETE OR CURRENT. In the unlikely event that you receive goods which were not what you ordered or which are damaged or defective, or are of a different quantity to that stated on your order form, Duragadget Europe LTD shall, at its own option, make good any shortage or non-delivery, replace or repair any damaged or defective goods, or refund to you the amount you paid for the goods in question PROVIDED THAT you notify Duragadget Europe LTD of the problem in writing at the address stated in the confirmation e-mail within 10 working days of delivery of the goods. NOTHING IN THIS CLAUSE AFFECTS YOUR STATUTORY RIGHTS. You and Duragadget Europe LTD will only be liable under these Terms for losses which are a reasonably foreseeable consequence of the relevant breach of contract. The products sold on the Site are provided for private domestic and consumer use only. Accordingly, Duragadget Europe LTD do not accept liability for any indirect loss, consequential loss, loss of data, loss of income or profit, loss of damage to property and/or loss from claims of third parties arising out of the use of the Site or for any products or services purchased from Duragadget Europe LTD. All electrical products are covered by a twelve month manufacturer's warranty. If your product develops a fault while under warranty, please contact Duragadget Europe LTD and we will advise you where to send it for repair. It is a "return to base" warranty therefore there will be a delivery charge to return the product back to the relevant service centre. Processing of Credit and Debit cards payments occurs by the web site owners. Duragadget Europe LTD does not process card payments , All prices exclude VAT and sales taxes (where applicable) unless otherwise stated, minimal charges may be applied for shipping capped at 4 euros for a small item and 5 euros for a larger items. Every sale transaction that Duragadget makes shall be deemed to be concluded in Jersey. Jersey law shall govern every aspect of contractual agreement concerning purchases made from Duragadget Europe Ltd. Duragadget Europe LTD aims to arrange shipment of all “in stock” items within 24 hours of receiving your order. Your order may be delayed if the item is not in stock with our suppliers. Some items may be unavailable and the current stock status is approximate. Duragadget Europe LTD are not able to supply dates our suppliers may get an item in stock. You can keep track of your order status yourself on-line with the order tracking facility on your account page. Our standard Returns Policy applies to all purchases from Duragadget Europe LTD. Delivery/title/risk: The period stated within which you will receive your order is approximate. Goods will be sent to the address given by you in your order and stated in the Order Confirmation. Please note that your goods may be sent to you in instalments. You may cancel your entire order with us if subsequent instalments forming part of your order are not delivered by us. Shipping, handling, customs and VAT UK deliveries The prices payable for goods as set out in the web site are, exclusive of VAT and shipping/handling costs. Consignments imported by individuals to the UK of a value of £14.99 or under are relieved from import VAT and duties under current legislation. For the avoidance of doubt, you are and will remain the importer of all goods and will at all times remain liable for any import VAT, Customs or other duty chargeable thereon. For purchases by UK businesses, no evidence of payment of UK import VAT can be provided. Non-UK deliveries If you are ordering goods for delivery outside of the UK, please note that your consignment may be subject to import VAT, duties and taxes, which are levied once the goods reach the country of destination. Most European Union member states allow goods valued at below €22 to be covered by the Items of Negligible Value Relief (INVR). However, EU member states reserve the right not to exercise this exemption and therefore we cannot guarantee this relief will always be available to you. Any such charges levied in relation to customs clearance must be borne by you. It is accepted by you that Duragadget Europe Ltd has no control over additional charges in relation to customs clearance. Duragadget Europe Limited recommends that you check with your local customs officials or post office for more information regarding importation taxes / duties that may be applicable to your on-line order. You will be the importer of the goods and responsible for any import VAT and duty that may be borne. In addition, any charges for import clearance will be borne by you, the customer. General Please note that when shipping goods from Switzerland or Macedonia, cross border shipments may be subject to opening and inspection by customs authorities. In respect of all goods dispatched to you to an address outside of Switzerland, you are deemed to be the importer of the goods and must therefore comply with all the laws and regulations of the country into which the goods are being delivered. For Christmas Deliveries, we recommend that you order by the 10th December. We will endeavour to dispatch all “in stock” orders within 24 hours, however we cannot guarantee delivery on or before the 24th December as the post may be delayed in your area. Miscellaneous: We shall have no liability to you for any delay in the delivery of products ordered or any other matters to the extent that the delay is due to any event outside our reasonable control, including but not limited to acts of God, war, flood, fire, labour disputes, strikes, lock-outs, riots, civil commotion, malicious damage, explosion, governmental actions and any other similar events. We shall have no liability (including liability for negligence) for the acts or omissions of telecommunications service providers or for failures of, or faults in their networks and equipment. No waiver by us of any breach of these Terms shall be considered as a waiver of any subsequent breach of the same or any other provision. In these Terms, “Intellectual Property Rights” means patents, database rights, copyright, design rights (whether registered or unregistered), trademarks (whether registered or unregistered) and other similar rights, together with the right to apply for the protection of any such rights. All Intellectual Property Rights in the Site shall be owned by us absolutely. We reserve the right to terminate this Agreement without notice to you if: •	You fail to make any payment to us when due; •	You breach the terms of this Agreement (repeatedly or otherwise); •	When requested by us to do so, you fail to provide us within a reasonable time with sufficient information to enable us to determine the accuracy and validity of any information supplied by you, or your identity; •	We suspect you have engaged, or about to engage, or have in any way been involved, in fraudulent or illegal activity on the Site. These Terms supersede any and all other conditions, understandings, commitments, agreements or representations (except fraudulent misrepresentations) relating to your purchase, whether oral or in writing, and contain the entire agreement between Duragadget Europe LTD and you relating to your purchase. Duragadget Europe LTD advises that you print off and keep safe a copy of these terms and conditions once your order has been accepted by Duragadget Europe LTD. We will store a copy of the contract entered into by you with Duragadget Europe LTD. You are advised to read (and are responsible for reading) fully all information on this website. If any provision of these Terms shall be held by any competent authority to be invalid or unenforceable in whole or in part, the validity of the remaining parts of these Terms and the remainder of the affected provision shall be unaffected. These Terms are subject to the laws and exclusive jurisdiction of the Island of Jersey, Channel Islands. Duragadget Europe LTD recognizes its responsibility to ensure that its suppliers are operating ethically. Duragadget Europe LTD expects that employees engaged in the manufacture of the products sold on its site will have willingly chosen their employment, will be above the minimum age for that employment, and will have reasonable working hours and rates of pay. Indeed Duragadget Europe LTD expects any relevant national employment regulations to be observed, and will not knowingly enter into a contract with a supplier who does not adhere to these same principles. Duragadget Europe LTD cannot however make any guarantees concerning supplier practices as these are not directly within our control.